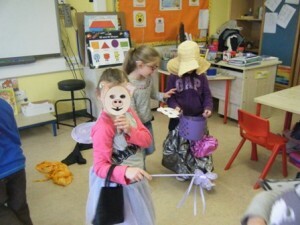 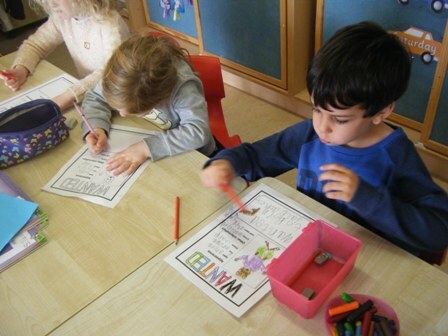 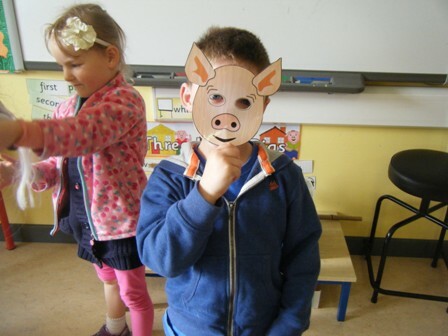 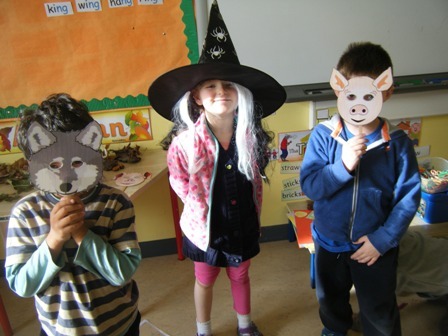 Our class had great fun re-telling and acting out the story of The Three Little Pigs. 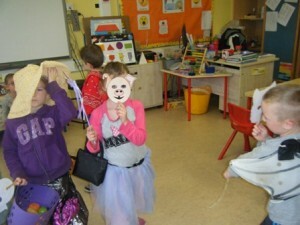 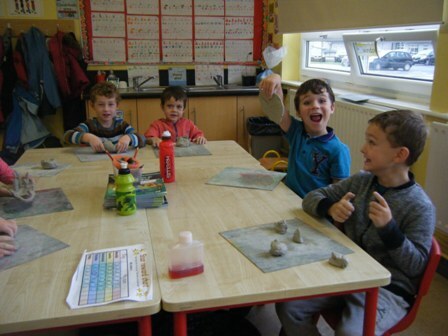 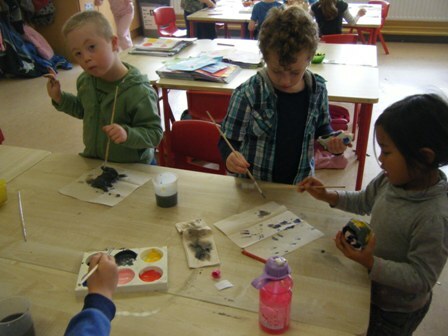 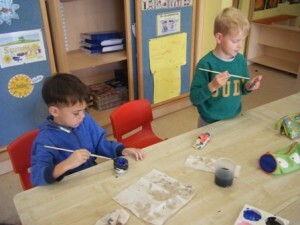 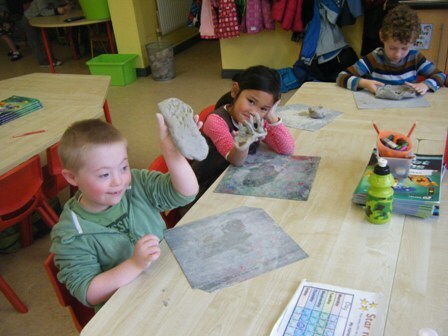 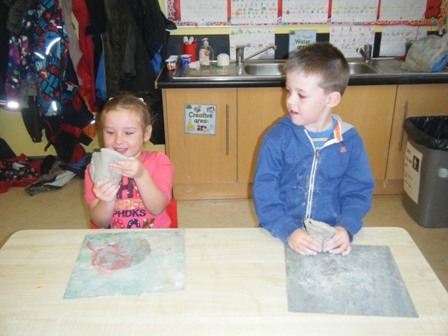 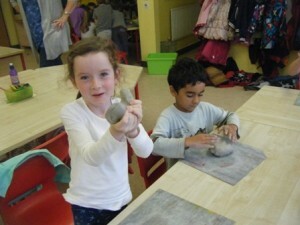 We made the big bad wolf and the three little pigs from clay. 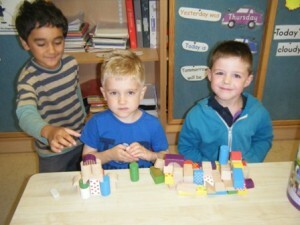 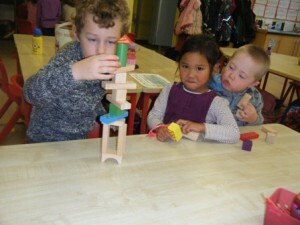 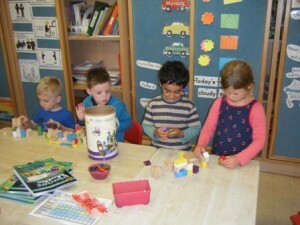 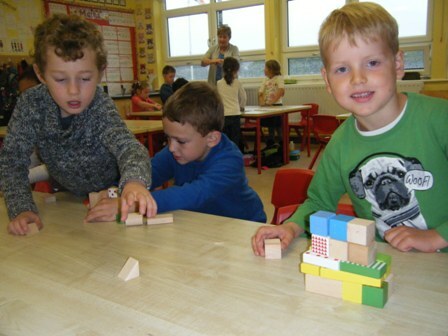 We constructed their houses using blocks and had great fun blowing them down afterwards. 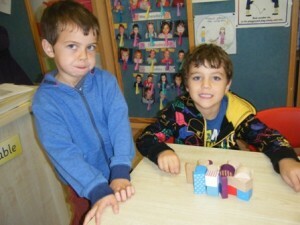 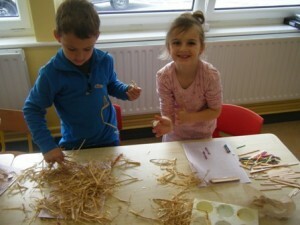 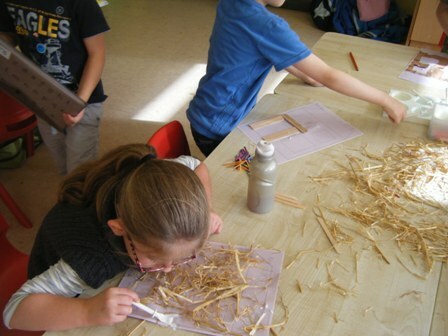 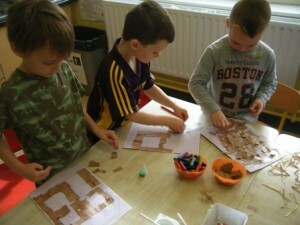 We also made houses with straw, wood and paper bricks. Then we listened to the story of ‘The Somewhat Bad Wolf and the Three Little Pigs’.